Extensible Markup Language (XML) is a textual markup language which becomes more and more important in the Internet web service. However, some distinct disadvantages exist in XML, such as its nature of redundancy, which consumes the limited network’s bandwidth greatly especially in mobile computing. Considering the characteristics of the mobile commerce, the handsets’ memory capability and data processing time are two problems for XML being applied. 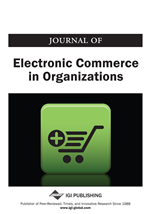 This paper studies an enhancement of XML for the purpose of application in mobile e-commerce, called SXML, which means Simple XML to enhance the XML used in mobile web service. It helps XML producers minimizing the size effects of XML, e.g., the size overhead and slow implementation speed. Comprehensive simulations show that the SXML could reduce the size of XML documents and reduce the time of implementation, consequently utilize the bandwidth effectively. To solve the problem of XML redundancy, there are already some methods which are outlined as follows.